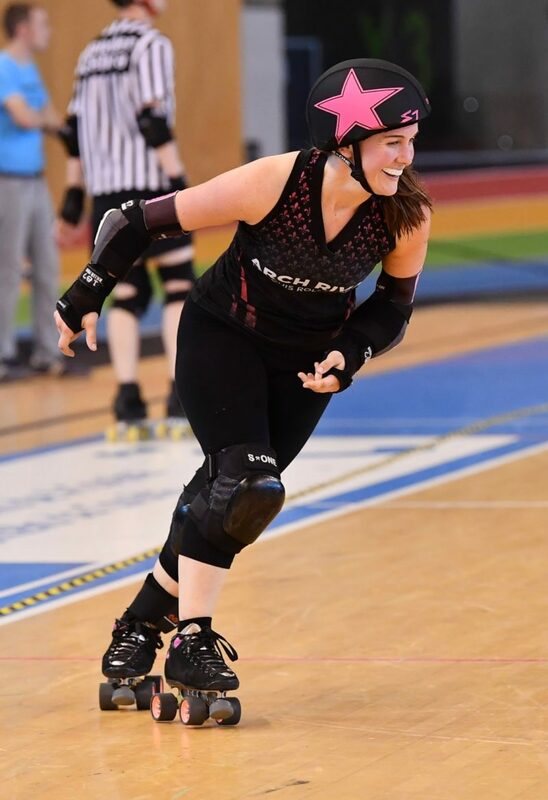 For St. Louis-based Arch Rival Roller Derby, they are hoping that this weekend’s trip to “N’awlins” results in a November to remember. 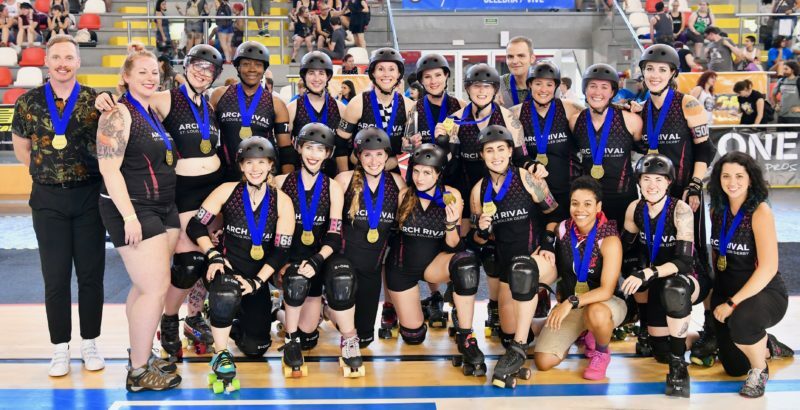 The collective on quads, ranked fourth internationally by the Women’s Flat Track Derby Association (WFTDA), competes at the governing body’s international championship tournament held at the Lakefront Arena in New Orleans, Louisiana. 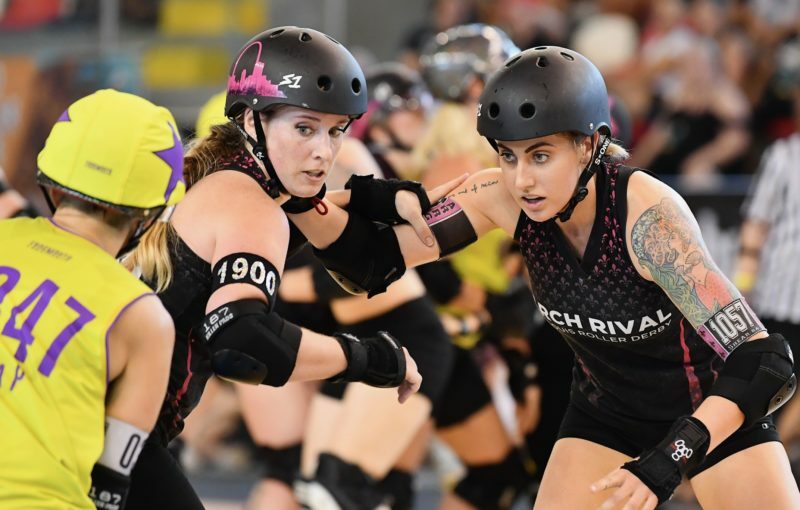 In a quarterfinal match-up slotted Friday at 4 p.m. Central, Arch Rival faces fifth-ranked Denver Roller Derby. 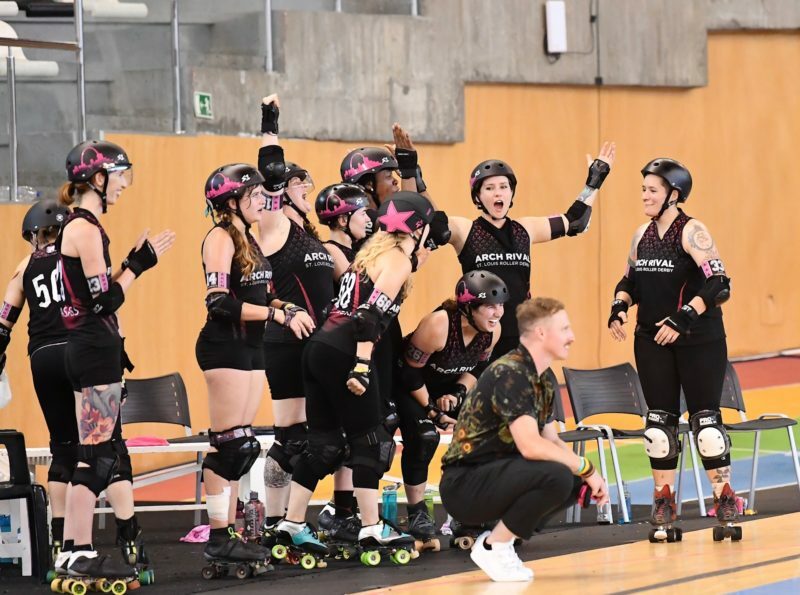 ARCH currently rides a high tide as they claimed their first-ever, post-season gold medal with a three-game sweep at the WFTDA playoff round held in A Coruna, Spain Labor Day Weekend. With dominant victories over #22 Philly (357-58), #14 Rainy City (300-118) and #10 Crime City (342-149), St. Louis catapulted their record to 7-3 and makes them a feared franchise. During the successful Spanish weekend, blocking was brought to the forefront as veterans Kayla Woodward, Smarty McFly, Shear-Ra Powers, Cloak N’ Drag-Her, Vicious Van GoGo, Jamheiser Bush, Bolt Action, Grant, LuxFurious, Pegasass and Fletcher helped Arch Rival collectively outscore their opponents 999-315. Alongside the co-captain, ARCH jamming is propelled by seasoned starters Annie Swanson, Reptar and Psychokid D’Freakout. Also on the journey to Louisiana are jammer The Jukes on You and blockers Party Foul, Splatter, SheKill O’ Neal and Sue Bob Fight. In preparation for Friday’s premiere match-up of side-by-side seeds, the rollers have been scrimmaging at high-levels at their practice facility in South St. Louis, honing the strategies necessary for victory. 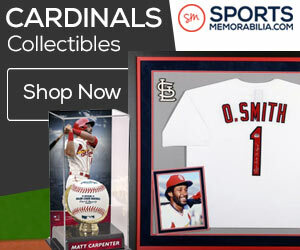 “Even though we may be considered an underdog, that’s a winnable game for us,” said Bricktator. Denver received an automatic bid to this weekend’s tournament as a then-ranked Top Four team. Not to rest on their laurels, the Mile High Club (3-4) prepared mightily in September at their backyard “Thin Air Showdown” invitational. 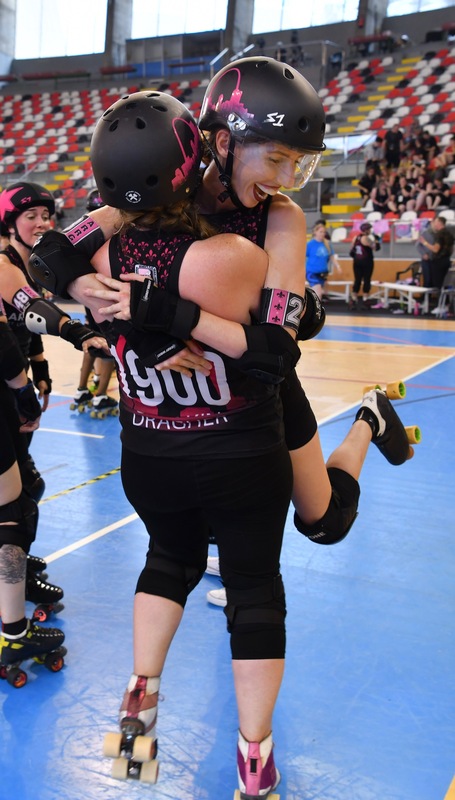 They challenged second-ranked Rose City before suffering a 187-113 setback and impressed even more with a 207-193 loss to defending WFTDA champion Victorian Roller Derby. Case in point, ARCH and Denver have a friendly rivalry that dates back to 2013, where in five sanctioned games the Mile High Club holds a 3-2 edge. 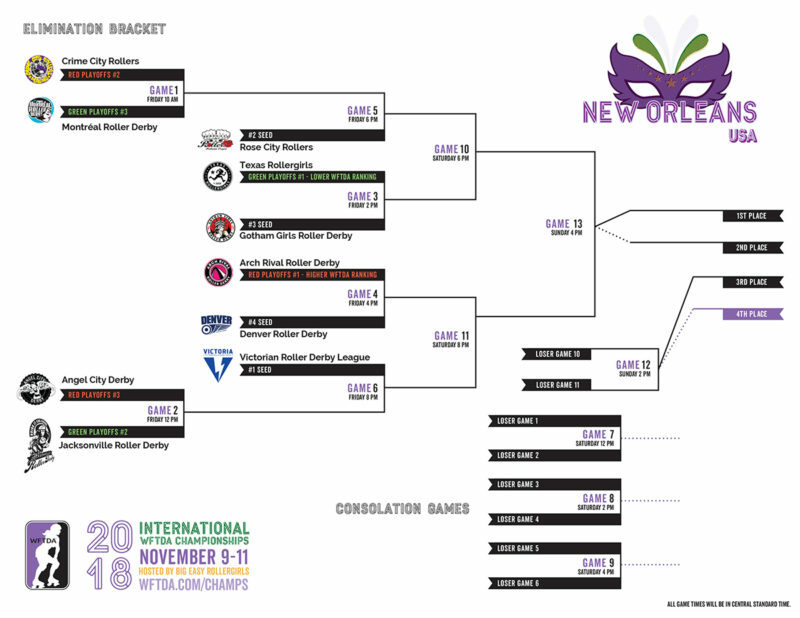 Arch Rival knows that the tussle in the Big Easy will be anything but easy, but the end game is to even-up the series with a triumph that would place the locals in the WFTDA Final Four for their first-time ever in their 13-year history. For Bricktator and her team mates, executing at near-prefect levels will make that dream a reality. “Knowing that it’s one game at a time and knowing how this is an important game for us, but not over thinking it, and just playing how we play and doing what we’re supposed to do, we will walk away with a win and we will have the opportunity to play for a medal and that’s really exciting,” she said. ARCH’s games at the WFTDA Champs, as well as the whole tourney, can be seen online with a $25 weekend watch pass available at this web link. 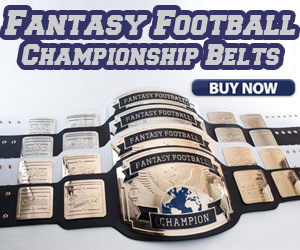 A free online audio feed can be heard at this link. For more information on Arch Rival Roller Derby, go to their official website. Their seven-event local season that returns to a two-game ARCH format begins Saturday, December 15 at Midwest Sport Hockey in Ballwin, MO.